On this week’s Social Media Marketing Talk Show, we explore Facebook’s New subscription service for creators and pausing Messenger chatbots with Luria Petrucci, Facebook privacy updates, and other breaking social media marketing news of the week! If you’re new to the show, click on the green “Watch replay” button below and sign in or register to watch our latest episode from Friday, March 30, 2018. You can also listen to the show as an audio podcast, found on iTunes/Apple Podcast, Android, Google Play, Stitcher, and RSS. Facebook assures developers and users that existing Facebook Messenger bot experiences that have already been approved and connected “will continue to function as is.” Developers are also cautioned not to clear cookies, sign out, or attempt to reconnect their bots through any third-party tools such as ManyChat or ChatFuel until Facebook updates its policies. Facebook rolling out its Comment Privacy feature? Facebook Plans to Shut Down Third-Party Ad Data: In a separate statement, Facebook announced plans to shut down Partner Categories soon, a product that enables third-party data providers to offer ad targeting data directly on Facebook. Recode reports that Facebook currently allows advertisers to target groups of people based on a mix of offline data such as offline purchasing activity collected by companies like Experian and Acxiom, user activity and profile data collected by Facebook, and a company’s own customer data. 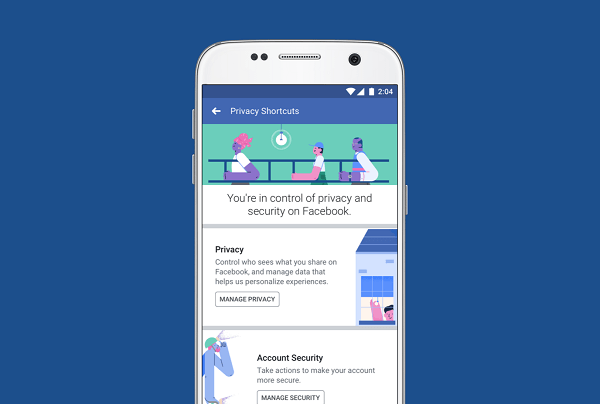 Facebook will wind down the practice of including third-party ad data “over the next six months” in a continued effort to improve and protect privacy on Facebook. Facebook Temporarily Drops Audience Reach Estimates From Custom Ads: In an email to brands and advertisers, Facebook stated that after identifying a new technical issue with reach estimation for custom audiences that could “potentially allow misuse of the functionality,” it’s removing the ability to see reach estimates for all custom audiences across all of its interfaces until the issue can be resolved. Facebook will also limit how many custom audiences an advertiser can create during this time. Facebook Expands Local News Section to More U.S. Cities: In January, Facebook began testing a new section of the mobile app that connects users to a separate feed entirely dedicated to local news, events, and announcements. This new section, called Today In, was being vetted by local publishers in six U.S. cities. Due to the positive response to this experimental feature, Facebook plans to expand the test to 25 additional U.S. cities over the next few weeks. The list of cities and how to find Today In can be found on the Facebook Media blog. Today we announced that we are expanding the test for Today In, a dedicated section on Facebook that connects people to news and information about their community. We have seen a positive response from people and will be rolling out the test into 25 more US cities over the next few weeks. Along with this rollout, Facebook is starting a small test with some first-responder pages “to help them communicate local alerts on Facebook” and determine if posts are an effective way to support established emergency alert systems. The local alert indicator will appear in both the news feed and Today In in a select number of cities, where Today In is currently available. Facebook Adds Video Cover Image Options for Profiles: Facebook now allows users to select a video for a profile cover image from the Cover Artwork library. 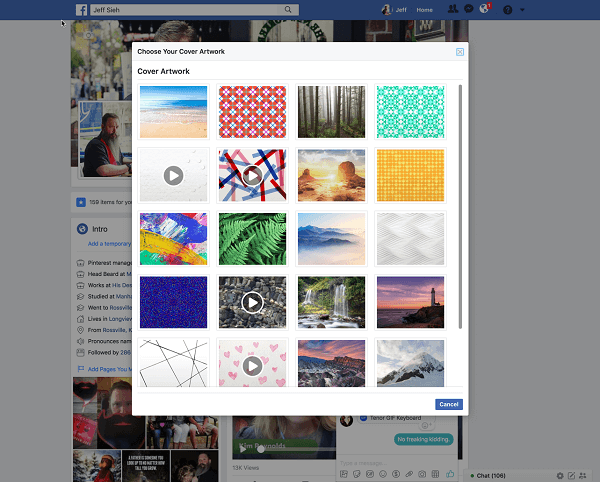 Previously, Facebook only offered static images in this gallery. 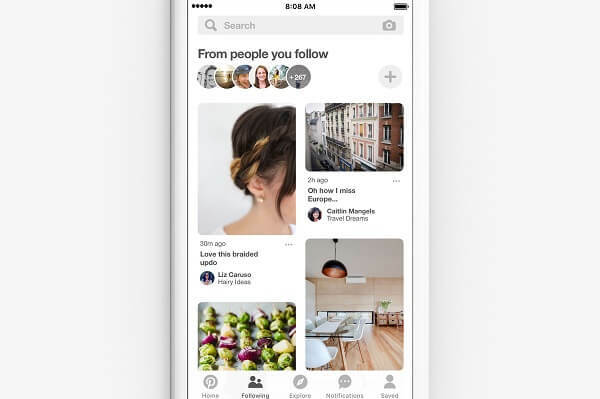 Pinterest Rolled Out New Following Tab: Pinterest announced it’s rolling out a new way to discover ideas from the people and brands you already follow on the platform. The new Following tab makes it “easy to see the latest Pins from all the people you follow, in the order they save them.” This new feature is available on the web and on mobile for both iOS and Android. Twitter Adds New Companies to Official Partners Program: In 2015, Twitter launched its Official Partner Program, which features an “elite set of companies… [that can help brands] increase returns on advertising campaigns, gain brand insights, scale customer care, and more.” This week, Twitter announced that it’s adding six new partners to this program. These companies include Curalate, Jebbit, VidMob, Vidsy, Animoto, and Social Native. Today we’re expanding the @TwitterMktg toolset with six innovative solutions that deliver memorable, high-quality #creative for brands. If you have to stop and think for a minute to answer that question, you may have a problem. Your website needs to be monitored and updated on a regular basis. However, you don’t want to make changes without any rhyme or reason. That’s why you can use A/B testing as a tool to help guide your website updates. But before you start A/B testing, you need to understand how it works. It’s not just a one-time thing. Some of you may have tried these tests in the past and seen an improvement. So why did you stop? For those of you who have never tried A/B testing, it can be difficult to know where to get started. Regardless of your situation and experience with A/B testing, I can help you out. Continuous A/B testing will make your website more efficient. I’ll explain how you can use this strategy to improve your business and help you boost your conversion rates. A/B testing isn’t really that difficult of a concept to understand. You start by creating a hypothesis about a certain element and then run a test to see if your theory was right. To do this, you create two different versions of your website. Then half of your site traffic will get sent to one version, and the other half gets directed to the variation. Here’s a visual representation to give you a better understanding of what I’m talking about. Once you set up the test, you wait and see which variation has higher conversion rates. Then you draw conclusions and update your website with the version that converts the most. What’s tricky about A/B testing is deciding how long to test things and what elements need to be tested. Honestly, there’s not one right answer to those questions. But I’ll give you some guidance to help you run these tests efficiently. When you’re trying to get higher conversions, it’s best to start with the button that gets people to convert. Obviously, these buttons are different for each company in every industry. It depends on your goal on a specific landing page as well. Some of you may be trying to drive a sale while others may be trying to get site visitors opt-in to their email subscription list. The key here is just picking one element to start. You don’t want to test two theories at once. Testing multiple hypotheses doesn’t give you conclusive results because you won’t know which variation impacted the results. That’s why you should be running tests continuously to maximize the efficiency. Start with something subtle and easy such as the size, color, or placement of your CTA button. For example, you could hypothesize that a larger CTA button will have higher conversions. You can also test the actual text written on your CTA button. Try testing power words against action words. Here are some of the power words that convert the most. Are any of these words currently used in your call-to-action? Here are some more statistics about the conversion success of words that entice an action. But there’s only one way to find out. Test it. After you test one of these and you’re satisfied with the results, move on to another. So if you started with the size of your CTA button, then move on to the color. After that, you can test the text or placement. Test all of the CTAs this way on each page of your website. Less than half of websites have a CTA button that can be spotted in less than 3 seconds. So putting so much effort into testing your CTA will definitely give you an edge over your competitors. After you’re satisfied with your CTA button analysis, move on to other components of your website that stand out the most. Your headlines and subheadings definitely jump off of the page at visitors, so it makes sense to test those next. If your headlines aren’t worded properly, visitors may not even read all of the content on the page. So while testing the CTA may seem more important, visitors could miss out on your entire value proposition if the headers don’t keep them engaged. In addition to conversions, you should be looking at analytics that shows how long each visitor stays on the page for. If one headline causes the average page viewing time to be significantly longer than the variation, it will definitely increase the chances that the visitors will convert. Here’s an example of an A/B test on a website’s headline. As you can see, the two pages are identical, except for the headlines. The variation has different words for the main heading and subhead. The test yielded conclusive results. Website visitors who saw version A filled out the form at a 27.76% higher rate than the ones who saw version B. If your tests are only within 5% or so if each other, you may not be able to say that one is definitely better. To find out for sure, you can run an A/A test before your A/B test to see what your standard deviation is between the same version of a web page. For those of you with an ecommerce website, you need to find ways to minimize shopping cart abandonment. Using A/B tests on the layout of your checkout process can really help you maximize conversions. You’ll be able to tell which elements are working and which ones can be tossed away. I’ll give you some ideas of what you can start testing. Are you accepting coupon codes? If you have an option for visitors to input a coupon code during the checkout process, it could cause them to go searching for a code. But if these codes aren’t always readily available and they’re just something you use to offer a disgruntled customer, it shouldn’t be a primary element of your checkout process. Test it out to see what kind of results you get. You could also test a guest checkout vs. login to checkout conversion rates. I’m assuming you’re offering a secure checkout, so use A/B tests to see if the size and placement of your security badges have an impact on conversions. Test every element on the page. You’d be surprised at how something small could make a huge difference. Here’s a great example of something subtle that iHerb used to when A/B testing their checkout process. Take a look at the left side of the screen. They have a shipping cost calculator. All the customer has to do is input their zip code and they’ll get an estimate on their shipping costs. But the heavy-duty bag promotion draws lots of attention away from the calculator. Here’s another version of that same page. As you can see, the image was removed and the “Calculate” button was placed much closer to the “Proceed to Checkout” CTA. OK. So technically they changed two elements of this page, which I know I said you shouldn’t do. But this was subtle enough to be effective. I’m a big advocate for removing clutter from your pages, so I think it was a smart decision to get rid of the image in addition to moving the placement of the calculator. You definitely want to use images to help you improve your website. But it’s just a matter of what images to use and where to place them. If you’re on the fence about a decision, or you have some images already in place on your website, run A/B tests to see which ones have the highest conversion rates. For example, you could test an image of a man vs. an image of a woman to see if one yields different results. Or you could test an image of the same model, but with different facial expressions, such as smiling vs. a serious face. Is it better to have one big image as the background of your website? Or will a white background with the image in the forefront have higher conversions? The only way to find out for sure is by testing your theory. You should also consider the size and position of your images in relationship to other elements of your website. Continuously run these tests to maximize your conversion rates. For example, let’s say you find out that a photo of a man converts higher than a photo of a woman. Now you’ve got to find the most optimal position of that photo on the page, so your tests will continue. Colors can make a huge impact on how people see your website. That’s because certain colors have a psychological impact on our mind. We’re programmed to associate certain colors with things. For example, but what color does everyone wear to a funeral? I’m not trying to sound grim, but that’s one of the reasons why we automatically associate the color black with death. Test colors for every component of your website, such as the color of the text, the menu icons, and CTA buttons. Here’s an example that tests the colors of the call-to-action on this website. The pages are identical, including the text. The only thing that’s been changed is the color. Refer back to what I said earlier about our minds automatically associating certain colors with things. Well, we’re programmed to go on green and stop on red. So a valid hypothesis for this A/B test would be that a green CTA button will have higher conversions than the red one. Everything we’ve discussed so far is based around your website. But that’s not the only platform that you use to get conversions. A/B testing is not limited to your website. You can also test factors from your email marketing campaigns. Test things similar to what we’ve already talked about. Focus on your CTA, colors, images, headings, and text. But with email, you can test other factors as well. For example, use A/B testing on your email subject lines. The content of your message can be the same, but see if you have a significant difference in open rates and conversions based on the subject. Test the word count of your marketing emails. Recent studies suggest that emails between 50 and 125 words have the highest conversion rates. So think outside of the box when you’re running these A/B tests. Don’t assume that you’re only allowed to test elements of your website. Email campaigns are another viable option. A/B tests don’t just last for a day or two. Typically, you’ll want to run each test for at least a few weeks or so to make sure that you’ve got a large enough sample size to yield conclusive results. So let’s say you run 4 or 5 different tests on your CTA button. That alone could take 3 months. Then you move on to test your headlines, images, colors, and checkout process. By the time you get through all of these tests, a year or two could have passed since your initial test. Well, don’t stop now. Go back and see if your CTA is still as efficient as possible. A/B testing is one of the best ways to increase your conversion rates. But you don’t just run one test and call it a day. This process needs to be a continuous part of your marketing strategy. Always strive to make improvements to your website. Test things like your CTA buttons, headlines, and checkout process. You can also test visual elements such as your images and color schemes on your pages. A/B testing isn’t just restricted to your website. You can apply this strategy to your email marketing campaigns as well. Once you finish testing something, move on to the next element. After you’ve tested everything, start back at the beginning. What elements of your website are you testing first to improve your conversion rates? One of the most special things in television universes are the ridiculously fake apps and websites that characters use. Generally, there are two types of these fake internet-ings. The first are the type that are just stand-ins for real-world sites and apps that would've cost the production company licensing fees otherwise. The second are the type that exist solely within the fictional universe and serve their unique storyline purposes. Scouring the best of these ersatz services, we compiled the best of these websites and apps, chosen for being either oh-so-obvious stand-ins or notable staples of their respective fictional worlds. AKA "totally not Grindr." It's not explicitly used in the show, but it is mentioned by Betty Cooper when she asks Kevin why he just doesn't use it to meet other gay men. Kevin's response is a reality we all know too well—no one ever looks like their profiles. Teendr is what appears to be a teen-friendly version of Tinder, where we hope everyone using it is not above eighteen and respectful. A show about teens naturally has to be up-to-date on all things social media. Degrassi's been winning the "totally not obvious nickname for social media" since their debut of MyRoom (totally not MySpace). There's also HastyGram (totally not Instagram), FaceRange (totally not Facebook), the aforementioned Teendr...but we're gonna give a special shout-out to Oomfchat, the Snapchat stand-in. "He's in Grade 10...check Oomfchat!" FriendFace is totally not Facebook, and it reminds us of that with their ominous ad. "Just sign up with FriendFace by giving us all of your personal information... we own everything you put on FriendFace..." says the cheery voice over man. They warned us back in '08, they really did. The Simpsons uses a mix of real sites and fake ones. In addition to SpringFace and FacelOOk, residents of Springfield use MyTube (though they also use Facebook and Twitter, so what is the TRUTH?). MyTube is the most consistent of the Simpsons' universe's fake websites, and is their obvious stand-in for YouTube. Perhaps the most popular of the fake search engines, FinderSpyder (and its nearly identical twin, SpyderFinder) pops up a lot in crime/action shows. The appearance varies from show to show, as seen in the CSI versus Criminal Minds screenshots, but FinderSpyder/SpyderFinder typically has the same usage. The CSI team gets to use Spyder Finder. The most obviously similar to its real-world counterpart of the fake search engines, Oogle is the choice of search engine for the citizens of Springfield. Oogle has popped up in a couple episodes since it was introduced, most notably the episode where Bart tries to convince Homer to moon the Oogle Street View camera. It's worthy to note that The Simpsons also uses Google, once again leading us to ask WHAT IS THE TRUTH? American Horror Story is too cool to use FinderSpyder/SpyderFinder, so it opts for Roundsearch, which has more aesthetic similarities to our friendly overlord Google than SpyderFinder, but less so than The Simpsons' Ooogle. Silicon Valley gets its own section since it is essentially a show about apps and websites. Hooli stands for everything Silicon Valley (not just the show, but the location and culture): A big, innovative tech company that does more than just one thing. There's a Hooli Store and HooliPhones and Hooli everything. Reminiscent of Apple and Google and other giant tech behemoths, we never actually find out what their main claim to fame is, just that they're all-powerful, all-seeing. Pied Piper actually has a site that you can visit IRL. Obviously, it's a marketing thing and not the actual application, but it's still fun to poke around and read the character's quirky bios and the company's blog. What exactly is Aviato? According to Erlich Bachman's bio on the Pied Piper website, Aviato is a "social media aggregation and management software for commercial airlines." Now that's not something that the average person is probably gonna want to use in their day to day, but we can all agree that Aviato has a pretty cool name. Any Facebook-esque social network used in a television episode is going to have different implications nowadays than when the episode originally aired. The idea of having something sending your Facebook messages to every possible outlet is a bit terrifying, given Facebook's current state. Ah, a throwback to the preteen days. Instead of being based on a specific social network, The Slap combined aspects of Facebook, Twitter, and YouTube, with a dash of MySpace. Back when the show was running, the site was maintained and viewers of the show (aka preteens) could make their own Slap accounts to interact with the characters. The fun, seemingly-innocent rating system of the MeowMeowBeenz turned Greendale Community College into a hierarchical, dystopian regime, where the Fives reigned supreme and the Ones groveled. But that's far-fetched, of course. It's not like social media's gonna use our likes and dislikes to do anything malicious. Another week of drama for Facebook. Another day, another crisis for the social network. Facebook employees are reportedly up in arms over a BuzzFeed report detailing a leaked "growth at any cost" memo from Andrew "Boz" Bosworth, a vice president at the social network, that was originally published in 2016. Comments from Facebook employees published by the Verge late Thursday suggest a growing sense of frustration and paranoia within the company, particularly in regards to leaked information. "Thinking adversarially, if I wanted info from Facebook, the easiest path would be to get people hired into low-level employee or contract roles," one employee posted, according to the site's report. "If this leak #$%^ continues, we will become like every other company where people are hesitant to discuss broad-reaching, forward-looking ideas and thoughts, that only the very average ideas and thoughts get discussed and executed," another reportedly said. The comments — at least those collected by the Verge — show Facebook on the defensive following weeks of tough coverage. Representatives for the company did not immediately respond to a request for comment from Mashable. Not all the comments are negative, we should say, but the tenor of responses is loud and clear: Employees are sick of leaks and negative stories. There's also a sense that the public is misunderstanding the company's ideals. No doubt the greatest hubris came from Boz himself, in an internal memo also captured by the Verge. "In response to one of the leaks I have chosen to delete a post I made a couple of years ago about our mission to connect people and the ways we grow... That conversation is now gone. And I won’t be the one to bring it back for fear it will be misunderstood by a broader population that doesn’t have full context on who we are and how we work," he wrote. Perhaps it's true that the grunts using Facebook can't understand the vision of the people running it. But less navel-gazing and more accountability to those of us who keep the social network's coffers flush with billions in profit might behoove Facebook as it navigates its latest existential crisis. The social network has been mired in a scandal surrounding Cambridge Analytica, a data firm that was able to exploit Facebook's platform to access information from millions of user profiles without consent back in 2014. Facebook's market value plummeted after reports in the New York Times and the Observer detailed the firm's practices in mid-March, the FTC confirmed it's investigating the company, and Facebook CEO Mark Zuckerberg has been on an apology tour. He's expected to testify to Congress in the coming days, and calls for the social network to be regulated by the government have never been louder. Wondering if LinkedIn can help you acquire more business? To explore how to use LinkedIn to find leads and turn them into customers, I interview John Nemo. In this episode, I interview LinkedIn marketing expert John Nemo. 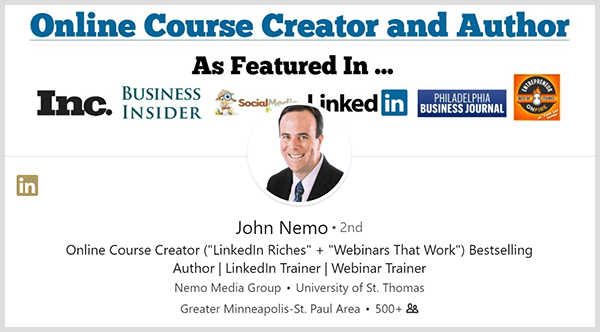 Author of LinkedIn Riches: How to Use LinkedIn for Business, Sales and Marketing, John is also host of Nemo Radio podcast, which is focused on online marketing and lead generation. He has worked to rewrite LinkedIn profiles for well-known individuals such as John Lee Dumas, Ray Edwards, and Chris Brogan. John shares which LinkedIn and third-party tools he uses to identify and manage his prospects. You’ll discover how John develops LinkedIn connections into pre-qualified leads and clients. 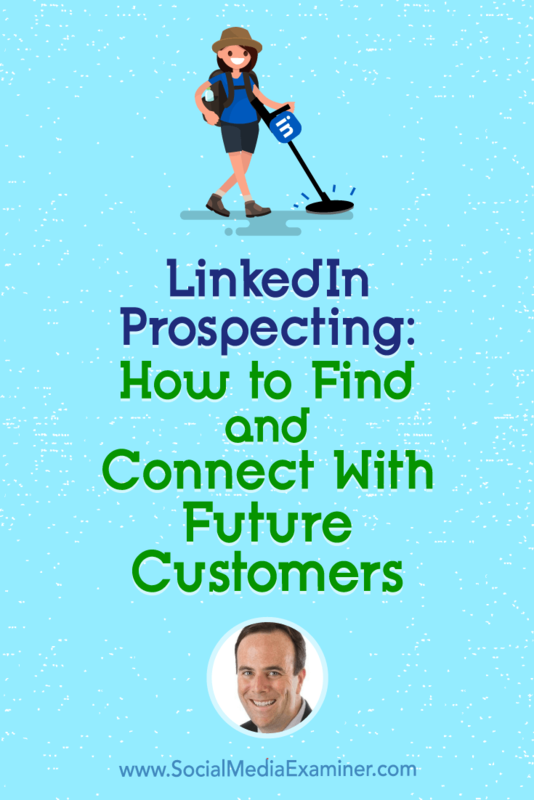 LinkedIn Prospecting: How to Find and Connect With Future Customers featuring insights from John Nemo on the Social Media Marketing Podcast. Back when John had a day job in marketing, he was bitten by the entrepreneurial bug and wanted to start his own marketing agency. However, leaving a safe day job was hard when he was the sole breadwinner for his wife and three boys younger than age 10. In late 2012, with one client and enough money for 30 days, John decided to make the leap into starting his own business. To find more clients, John had a plan to use LinkedIn for prospecting. Until John started his business, he (like a lot of people) viewed LinkedIn only as a place for job-seekers and recruiters. Your profile was a résumé. But after he began viewing LinkedIn as a way to find clients, his perspective on the platform changed. Motivated by the need to feed his children, John stayed busy on LinkedIn bringing in clients for his marketing agency. Within 90 days, John had replaced his six-figure salary, generated revenue, and had a bunch of clients in the door. He had to start hiring staff and kept growing his business, continuing to use LinkedIn to get new clients. After a few years, the marketing agency felt too much like John’s old job. He was managing staff and doing payroll instead of creating stuff. From there, John pivoted to helping people learn how to find clients on LinkedIn. In 2014, John published LinkedIn Riches. Then he created an online course (also called LinkedIn Riches). Today, John has a one-man shop, creating online courses and working with a small group of clients and customers. With his more entrepreneurial lifestyle, John can choose the things he wants to do, and LinkedIn has been the engine behind where his business is today. Listen to the show to hear John share how often he uses LinkedIn now. 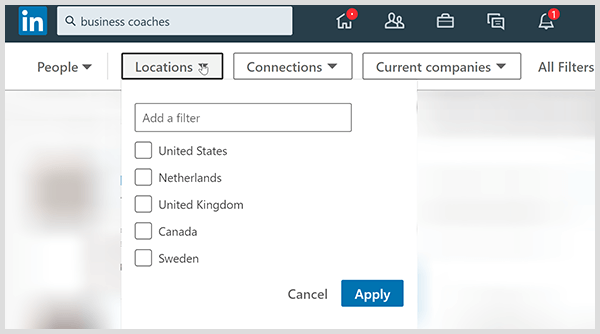 If you’re looking for business-to-business (B2B) prospects, LinkedIn is the best place on the planet because it has the market cornered right now. 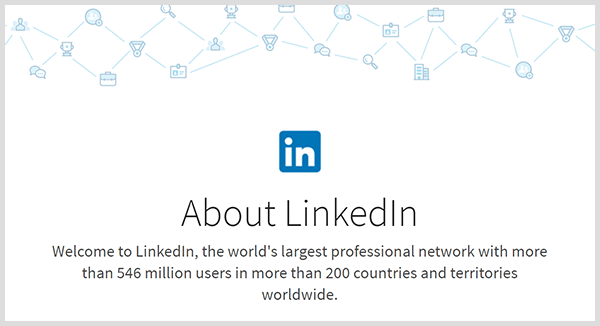 No other B2B network has as many members and as much reach as LinkedIn does. Currently, LinkedIn has about 550 million members in 200 different countries, and two new members join every second of the day. LinkedIn is a behemoth and one of the most visible websites in the world. Looking for prospects on LinkedIn is effective because it’s like a search engine for professionals. For all its members, LinkedIn has categorized, analyzed, sorted, tagged, and saved every little bit of data. By leveraging all that data, LinkedIn can help you find your prospects. For example, within 3 seconds, you can find a list of CEOs in San Diego who work in the health care industry and have a company with more than 10 employees. If you understand what to say to people, LinkedIn is like the world’s biggest professional coffee shop. You can have one-on-one, real-time engagement with people via the LinkedIn message box, status updates, or articles. Professionals worldwide check in every day. If you’re savvy and pay attention, you can really leverage LinkedIn for marketing. Listen to the show to hear John discuss other features that make LinkedIn a one-stop shop for professionals. Most LinkedIn users still treat their profile like a résumé. People write in the third person about what they’ve done, where they worked, and awards they’ve won. However, your ideal prospects and customers don’t care about you. They care about how you can solve their problems. John says you can continue this client-facing profile by saying more about how you help your ideal audience and why your service works. After you talk about how you can help and why, share what others say about you by adding testimonials. At the end, John also recommends adding a call to action, whether that’s signing up for your live event or something else. When you write a client-facing profile, think about what prospects will see and how they’ll react when you initially contact them on LinkedIn. You focus on the client because, when you first contact a prospect on LinkedIn, that person will wonder who you are and look at your profile. Even if someone searches your name on Google, your LinkedIn profile is often one of the top results. Say your ideal clients are marketing managers in charge of social media. If the first line of your profile says you help marketing managers in charge of social media do this, this, and this, that person is excited and intrigued because you can solve something they need help with. Your profile helps that person connect the dots. With LinkedIn, John says the riches are in the niches. He recommends identifying two or three target audiences you really serve well. Identify them by job title and industry type. If you try to be everything to everybody, finding clients on LinkedIn won’t work. Similarly, if prospects don’t like your profile, they may never respond to your inquiry. John stresses that everything you do on LinkedIn begins with your profile because people will check it. Everyone wants context for a conversation. If your personal invite piques someone’s curiosity enough to look at your profile, your profile needs to convey that you can help that person. Then they’ll accept your invite so you have a way to start a dialog. Listen to the show to hear John and I discuss what a LinkedIn profile for Social Media Examiner might say. On the search results page, filters with checkboxes help you narrow your search results to your exact ideal customer. John might start by filtering his search for business coaches to Minneapolis, where he lives, reducing the list of 80,000 coaches to 800. Another filter can narrow the list to coaches who attended a college like the University of Minnesota. For even more nuance, you can add more filters to find people in your specific niche. John might filter to find business coaches who specialize in health care clients. All this filtering gives you context for a conversation. I ask what kind of an account you need to search all of LinkedIn. John says a free account offers limited results and filters. He recommends upgrading to a paid premium account because you’ll get more data and search filters. You also have more access to the people you’re looking for and who look at your profile. Think of a premium account as paying for more access to the search engine. LinkedIn premium fees range from $25 to $150 per month. The account tiers focus mostly on different fields, such as a job-seeker, HR person, or salesperson. For most marketers, John recommends the sales account, which has two different levels and costs $65 to $100 per month. For John, the data he gets makes the cost worthwhile. Although LinkedIn doesn’t let you send a message to 800 people at once, you can use third-party automation tools. John says using third-party tools is a gray area. LinkedIn says it doesn’t like these tools and doesn’t want people to use them. John’s take is that LinkedIn doesn’t want people scraping data and scamming people. The tools John uses just save the repetitive work of copying and pasting messages to individual profiles so that he can send those 800 invites over a day or two with a click of a couple of buttons. He likens these tools to an email marketing system where he can insert a name and personal message based on the criteria in his search filters. John doesn’t use automation when someone replies. Beginning with a reply, you have a personal one-on-one conversation. John says the automation tools he likes change, but right now he likes Meet Leonard (which offers tons of different plans and pricing), LinMailPro, and Linked Helper. Most of these tools work via a Google Chrome browser add-on that you purchase and connect to LinkedIn. Sometimes, John has seen LinkedIn say, especially to free users, “Hey wait a minute. Are you trying to automate? Don’t do that.” LinkedIn tends to leave paid users alone. In the past 4 or 5 years, John has used third-party tools and never had trouble because he acts like a human being. He doesn’t try to send 8 messages one day and 8,000 the next day. He doesn’t spam people with sales offers. He doesn’t annoy people. John says to use the tools to save time on repetitive tasks like copying and pasting or opening new windows. John also says these opinions are his two cents. He’s not an attorney. He’s not here to advocate for or against third-party tools. For John, there are great third-party tools that save time. Next, I ask about the difference between sending prospects a connection request versus a message. 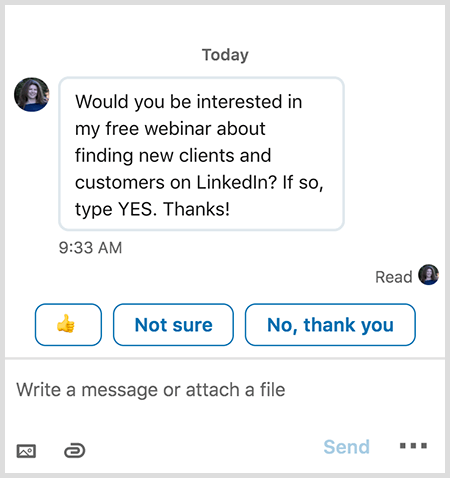 John sends a connection request because LinkedIn makes messaging connections easier than messaging people who aren’t connections. To send direct messages to someone who isn’t a connection, you have to pay with InMail credits. A premium account might get you 10 to 30 credits per month. However, when you send a prospect a nice, friendly, personal invite, they’ll see your client-facing profile and think, “Wow, this guy could help me. I should connect with him.” After a prospect accepts your invitation to connect, you can exchange unlimited direct messages. 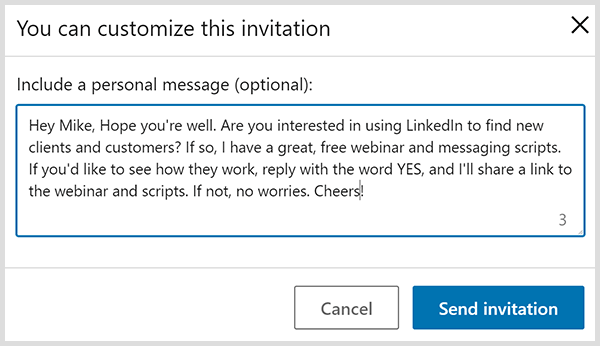 Also, when you send an invite, LinkedIn gives the other person the opportunity to write you back before they accept the connection. People might be curious about your invite, and you can answer their questions. In this way, you also start a dialog with a prospect. Listen to the show to learn what people have asked John in response to a LinkedIn connection invitation. John emphasizes that the LinkedIn inbox is where you make money and find marketing success on LinkedIn. First, John offers some details about how the LinkedIn inbox works. LinkedIn has completely revamped the messaging experience. Gone are the cold, professional emails people used to exchange within LinkedIn. Now, with the LinkedIn inbox, or message box, you can message back and forth with anyone who is a first-degree connection like a couple of teens texting. The messages move in real time. Little green dots next to a person’s profile indicate they’re active right now. You can start messaging someone who is active and chit-chat back and forth. Each person can see when the other person is formulating a response because a speech bubble with dots indicates that person is writing you back. John goes on to explain what to say in your messages to prospects. Generally speaking, whatever you ask someone has to reflect the trust you’ve earned so far. At this point, all you’ve done is connect with someone. With that level of trust in mind, don’t immediately try to sell something or ask them to sign up for something or get on the phone. After you ask the question, you need to offer value. For example, you might offer a great free template, webinar, training series, podcast episode, or other helpful content. However, don’t put the link into the message right away. Another important point about the offer is that you move leads off LinkedIn, which is rented land, and onto your own email list or website. Like Facebook has done, LinkedIn could change everything tomorrow. Listen to the show to hear John read a full example of his initial message to a new LinkedIn connection. To manage the workflow for messaging prospects on LinkedIn, John uses Meet Leonard, which has a built-in CRM (customer relationship management) tool. John has 18,000 LinkedIn connections. He’s organized them all by job title and tagged them. For instance, John has a group of about 3,000 business coaches. With Meet Leonard, John can send 200 invites a day to business coaches, and it tracks who’s accepted and who hasn’t. Each day, as acceptances come in, he can see that these five people accepted and choose to send a follow-up note. The CRM can also withdraw the invites automatically after 30 days. 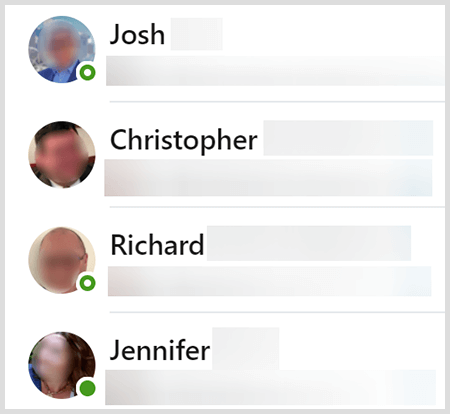 After a prospecting invite becomes a more personal one-on-one exchange, you track the messages in your LinkedIn inbox. 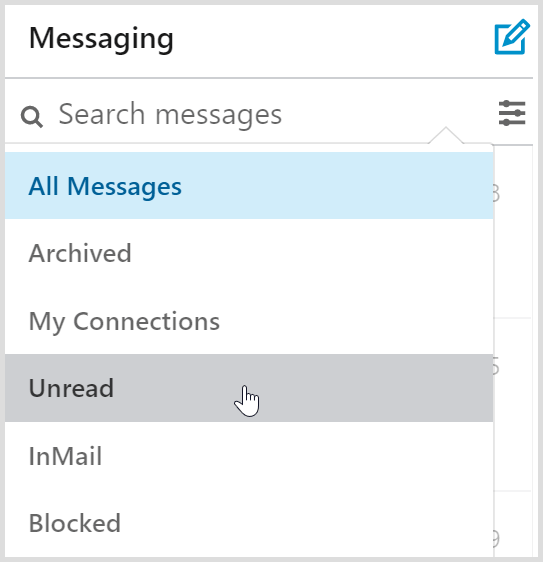 You can filter your inbox to see only unread messages, and those YES responses stand out because people have given you the one-word response you asked for. From there, copying and pasting from the script help you manage the workload. For John or his virtual assistant, the copying and pasting take minimal time. John doesn’t mind spending 10 to 30 seconds copying and pasting from his script to point people to his webinar because they’re high-end, high-value prospects now. John says the response rates to his initial prospecting invites depend on the script. With his Messaging Magic script, about 60-70 people out of 500 respond YES within a few minutes. John also has a script called Days to Come, and responses to that one tend to have a lag period. Maybe someone didn’t check their inbox until the next day. So he’s constantly getting more replies. The most important thing is John receives at most one or two complaints with his scripts, and when he does receive a complaint, Meet Leonard helps him track that person’s preferences. As an example, if someone says, “This isn’t for me” or “Don’t send this stuff,” John changes their tag to No More Messages because he doesn’t want to annoy people. This approach saves everybody time. Because John uses search filters to narrow down the people he contacts on the front end, he receives a lot more interested responses than negative ones. In addition to people asking for his link, they might ask about information on his profile or consulting services. Of the 60 or 70 immediate yes responses, about 30 to 50 turn into good conversations that lead to something else. After John goes through this initial process, he follows up with connections about every 3 to 4 weeks. John tracks follow-ups based on the groups he’s created in his CRM (business coaches, CEOs, etc.). 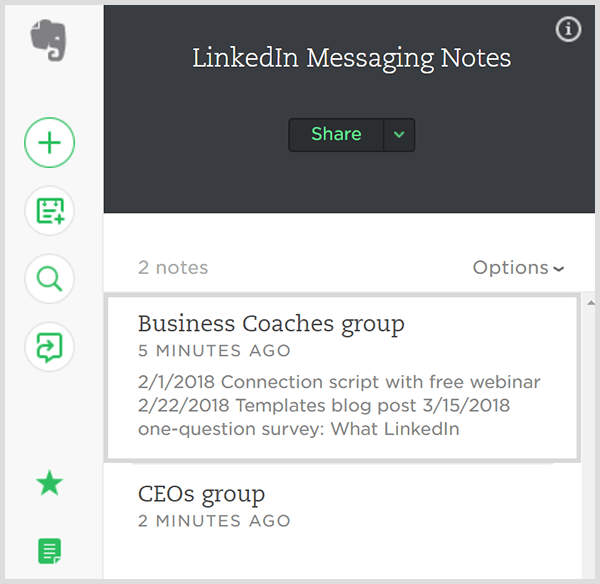 Using Basecamp or Evernote, he records when he messaged a specific group. To illustrate, he’ll note that on March 30, he sent the CEOs a specific script. With this organization in place, John can quickly see when 3 to 4 weeks have passed and it’s time to follow up with the group. John recommends following up about every 3 weeks because one or two LinkedIn messages per month is hardly overkill, especially if those messages are helpful, conversational, friendly, low-pressure, and don’t spam people with links. Your follow-up doesn’t always have to be content. Instead, John might ask a question from his list of one-question surveys. For example, he’ll say, “If you have a second, I would love your answer to this. What LinkedIn topic would you like to know more about?” These questions are like a free survey on LinkedIn to 500 people, and the responses help John find useful content for his next email. Overall, part of John’s messaging process is automated, but some of the work is one on one. It’s also important to move leads to an email list, webinar, podcast, or another offering where people can consume your content on their own time. Then they can contact you later when they’re ready to buy. For John, these purchases might be online training or other services like speaking or consulting. Listen to the show to hear how pre-qualifying people helps John manage LinkedIn messages. InShot is a cool mobile video editor for iOS or Android. With this app, you can almost carry a movie studio in your pocket. InShot allows you to add music, effects, voiceovers, emojis, and text. You can also adjust the video speed, and control where elements you add appear on the video timeline. 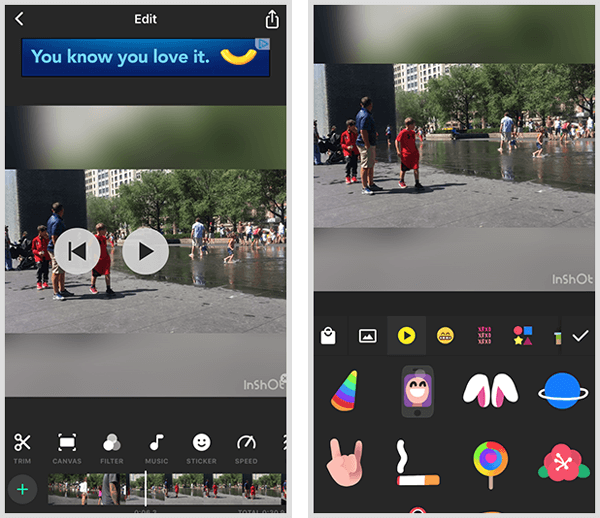 This app will work perfectly for any videos you create for Instagram, Facebook Stories, Facebook news feed, and so on. The app can work with vertical, landscape, and square video formats. It can even transform one format into another. Unlike some mobile video apps, you don’t have to record video within the InShot app. You can import video, and even merge separate videos from your camera roll and arrange them in a specific order. Although InShot offers a lot of features for an app, it’s still pretty easy to use. However, you might prefer to use it on a device with a bigger screen, like an iPad or tablet. The InShot app is free, but with in-app purchases, you can add effects, filters, stickers, and stamps. On average, these items cost about $1 to $2. Thanks to Ray Edwards for mentioning InShot on his show, which prompted us to take a look at the app. Listen to the show to learn more and let us know how InShot works for you. What do you think? What are your thoughts on LinkedIn prospecting? Please share your comments below. Twitter today is introducing a new feature that will make it easier to share a key moment from a live video, so those viewing the tweet don’t have to scroll to the part of the broadcast you want to talk about. The feature, called “Timestamps,” is something Twitter says it built in response to existing user behavior on Twitter. Before, users could only tweet an entire live video. So, if they wanted to highlight a particular segment, they would tweet the video along with the specific time in the video where the part they’re trying to share begins. Those viewing the tweet would then have to scroll through the video to the correct time, which can be cumbersome on longer broadcasts and challenging on slower connections. The new Timestamps feature makes this whole process simpler. Now, when you tap to share a live video (or a replay of a live video), you’re able to scroll back to the exact time you want the audience to watch. You can then add your own thoughts to the tweet, and post it as usual. But anyone seeing the tweet will start watching right at the time you specified. If the video is still live, they’ll then be able to skip to what’s happening now by clicking the “live” button, or they can scroll back and forward in the video as they choose. The new option ties in well with Twitter’s live streaming efforts, which has seen the company focused on offering live-streamed sporting events, news broadcasts, and other events. For example, those live-streaming a sports match could re-share the same live video broadcast every time the team scores a goal, with the video already positioned to the right part of the broadcast to capture that action. That could increase the video’s number of viewers, which could then translate to better advertising potential for those live streams. Beyond the sports-focused use cases, people could also take advantage of Timestamps to share their favorite song from a live-streamed concert, while reporters could highlight something important said during a press conference. Twitter notes the Timestamps feature will be available to anyone – not just professional content publishers. It will also work for anyone doing a broadcast from their phone, and will support live videos both on Twitter and Periscope. On Twitter, you’ll be able to share the live video as a tweet, while on Periscope you’re able to share to your Periscope followers, in addition to sharing to Twitter or sharing as a link. Timestamps isn’t the first feature Twitter built by watching how people were using its product. The company has a long history of adapting its product to consumer behavior as it did with the previous launches of @ replies, the hashtag, retweets and, most recently, threads. The update that delivers support for Timestamps is rolling out today on Twitter for Android and iOS, Twitter.com and Periscope. Is Facebook part of your marketing plan? Wondering if Facebook ads are still worthwhile? 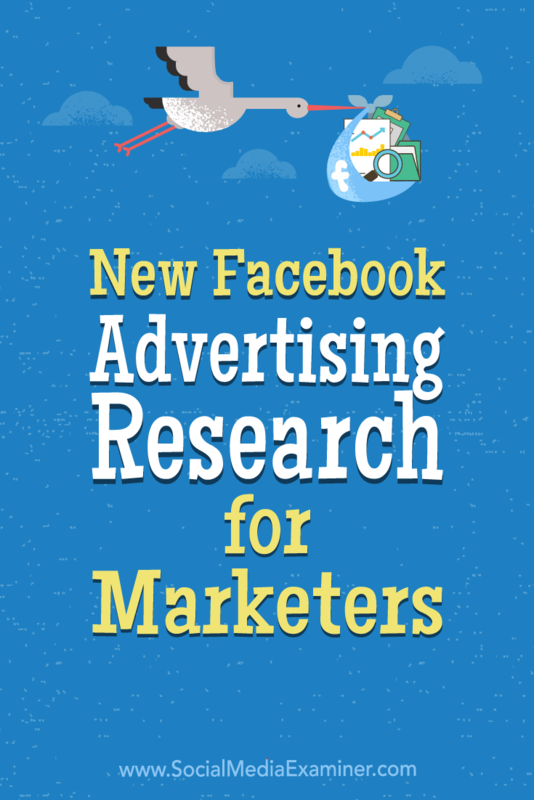 New Facebook Advertising Research for Marketers by Johnathan Dane on Social Media Examiner. No one wants to invest in a platform that’s in decline or losing its audience. One sign to predict the longevity of a platform is to look at revenue and growth statistics. Facebook’s Q4 2017 revenue was roughly $13 billion with $1.44 diluted (adjusted for taxes) earnings per share (EPS) worldwide, with around half of the revenue coming from the U.S., and Europe in second place. GAAP revenue year-over-year change was 47%. 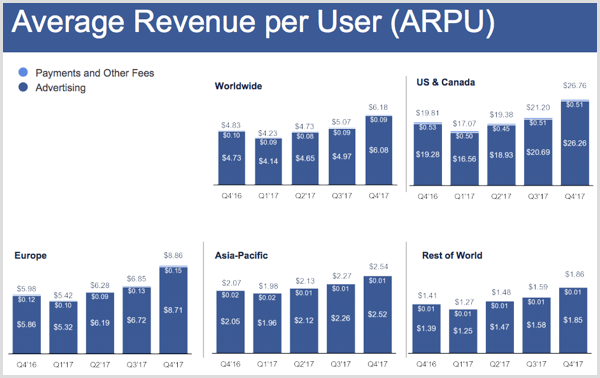 In Facebook’s Q4 2017 results, the average revenue per daily active user (ARPU) was at $6.18 worldwide, but it was $26.76 if we just look at the U.S. and Canada. This includes payments and other fees, but advertising takes up the bulk of it. 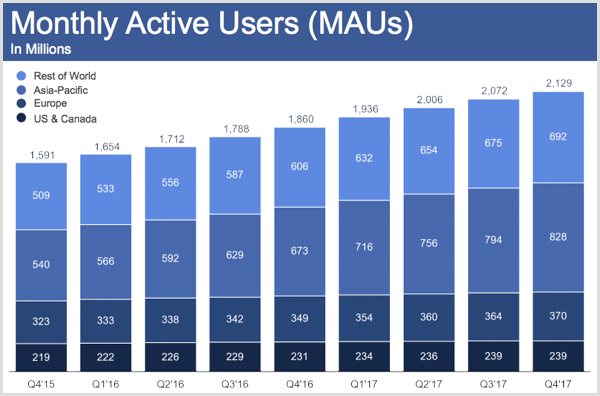 To give perspective, daily active users were $1.37 billion on average for September 2017, an increase of 16% year over year. So we know that Facebook is still making money and will probably be around for another year. But unless you’re a shareholder, the details of this are pretty irrelevant in your day-to-day advertising efforts. Checking to see if eMarketer’s predictions were on point, the pace of growth for Facebook’s ad revenue was supposed to be markedly lower by 2018 (26.5%) than it was in 2016 (57.4%). Advertising revenue was $12.8 billion for Q4, up from $10.1 billion in Q3 – and again, we see the U.S. take the lead on this one. For now, the trend is upward for advertising growth. Also, due in part to Facebook news feed changes that shift organic publishers to a more pay-to-play mindset, we might see advertising costs rise in 2018. Yikes, more competition for ad space. I know, I know. And how are we seeing mobile vs. desktop advertising revenue? 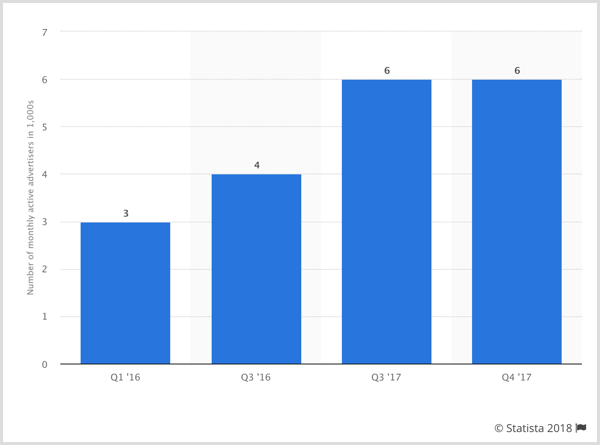 Mobile advertising represented approximately 89% of advertising revenue for the fourth quarter, up from 84% of ad revenue for the same quarter in 2016 and up slightly from 88% in Q3. 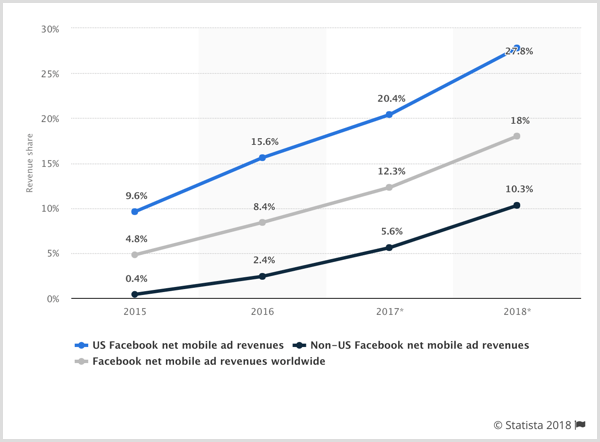 This chart from Statista shows how Facebook’s growth has been fueled by mobile ads. 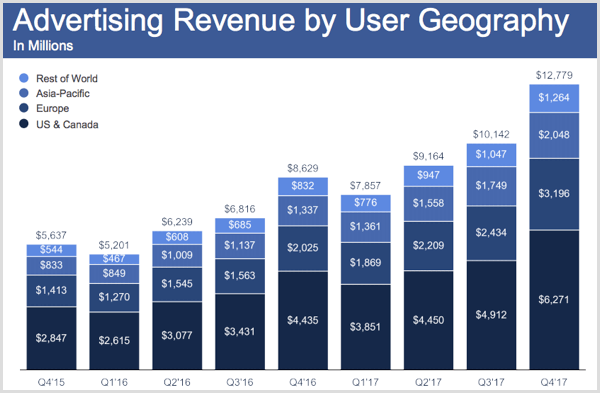 At first glance, one might come to the conclusion that Facebook is earning money and continuing to grow, and its main source of revenue is from advertisers. No doubt your competitors are advertising there, so why shouldn’t you? Obviously, people are clicking on these ads, looking at the revenue for daily active users (since users don’t pay for membership) so they’ll engage with yours as well, right? Not exactly. 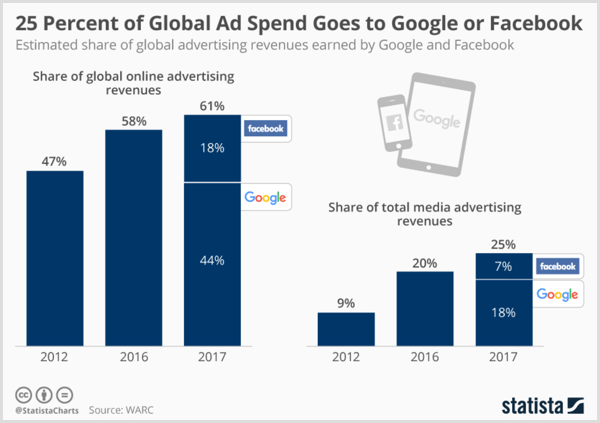 First, although paid ads are the primary source of revenue for Facebook, it does have a few other avenues it taps into (e.g., Facebook Live, games/apps, and soon payoffs on investments in emerging technologies). Also, when you see general statistics like those above, they aren’t broken down enough to tell you which industries and types of businesses, and types of campaigns actually do well. For instance, Facebook can be viewed more like the Google Display Network than the Search Network as far as the temperature of the traffic you’ll most likely get from the platform. That’s not to say that direct response ads won’t perform well on Facebook, but to determine whether it’s the best platform for your ads, you’ll want to look at your core offer and the intent of your audience. But even so, check out that growth in mobile ad revenue. We’ve read time and time again how mobile is the future, and how all of your landing pages and websites should be mobile-optimized. 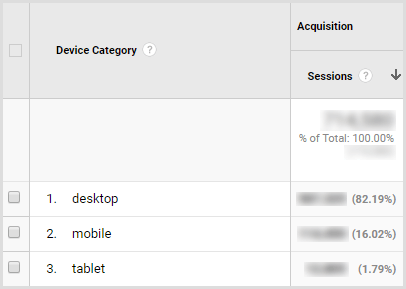 It’s not to say that considering mobile won’t help your campaigns at all, but you’ll want to check your analytics to be sure your site actually gets most of its traffic from mobile, not desktop, before you go all in. In the case below, optimizing for how a desktop user engages would take precedence over optimizing for mobile users. There are some types of businesses that benefit more from a mobile ad focus than others. To illustrate, if you’re a local business, you may want to target people on their phones if their GPS shows that they’re within a certain distance from your physical business location. After all, we aren’t carrying our desktop computers with us when we’re out and about. Think about what people are doing and where they are when they’re engaging on mobile. What types of offers are most likely to appeal to them during that time – and is your offer optimized for the state of mind users will be in? Maybe you find a mix of mobile and desktop ads serves you well. Just be cautious about making mobile the end-all-be-all for your campaign success. Even if Facebook ads perform well in a silo, you want to consider all options for advertising channels you might have in a marketing mix. You have a limited budget and need to make sure you’re spending it wisely. So let’s consider where Facebook stands when stacked up against other advertising platforms, which could very well be contenders. 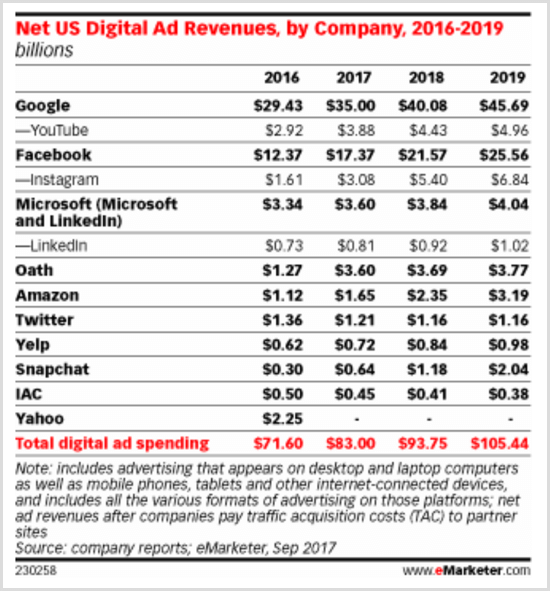 This chart from eMarketer shows that 2017 will be the first year Facebook holds more than one in five U.S. digital ad dollars. Facebook is the sixth most valuable public company in the world according to Forbes’ Global 2,000 in May 2017. Its current market value is around $519 billion. All right, that’s perhaps a subjective opinion in saying it’s the “sixth most valuable.” Some might define value differently. And yes, as impressive as all that sounds, there’s still more to consider. The first thing I notice with many of these stats is they’re about the U.S. market. Keep in mind these stats may not be as beneficial if you don’t know where your particular audience is located. Do you primarily get traffic, conversions, or sales from the U.S.? Just because your brand is located in the U.S. doesn’t mean that your audience is. If you’re more global or have an audience primarily outside the U.S., you’re going to want to evaluate statistics for those regions and countries. 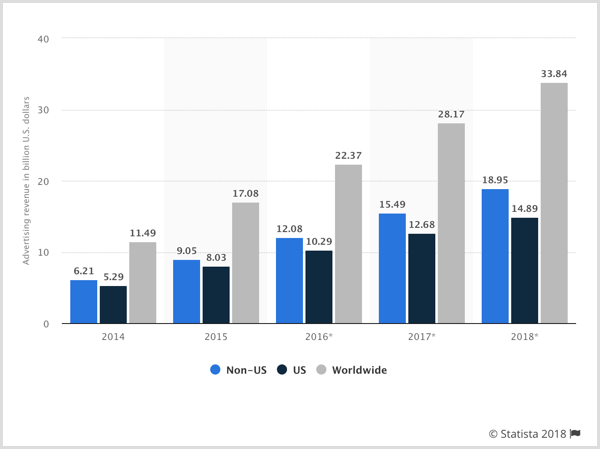 Even a global chart like the one below from Statista wouldn’t break it down enough for proper targeting, mainly because it speaks to ad spend rather than advertiser ROI. Also, even if your audience is in the U.S., I don’t know how many times I’ve seen brands target all of the U.S. with one campaign. If you really want to see your campaigns perform well at a lower cost per click or even lower cost per conversion, you want to get pretty specific with the way you layer targeting. 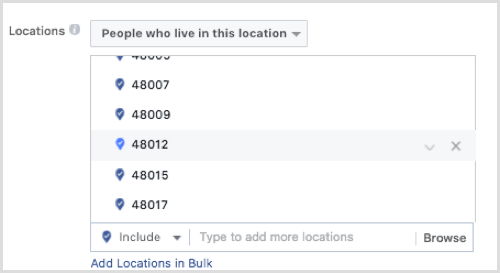 Facebook allows you to narrow geographic targeting so that even within the U.S., you might find you get more business in a particular state or city. Even if you get decent performance in several areas, there might be some offers or ad copy variations that appeal more to those in a particular geographic area. For example, maybe your ad will see good performance from being more geographically targeted by zip codes rather than by state. Another way to drill down is with advertising by device. Did you know China is one of the largest contributors to global advertising growth, specifically with regard to mobile? Total ad spend will climb 14.7% in China this year to $84.54 billion. Arguing that granularity in our statistics makes them more relevant to your particular business or audience is also an argument for not ignoring how you operate in the bigger scope of the advertising space. And let’s say that after our initial discussion of mobile advertising, you still determine advertising for mobile is for you. 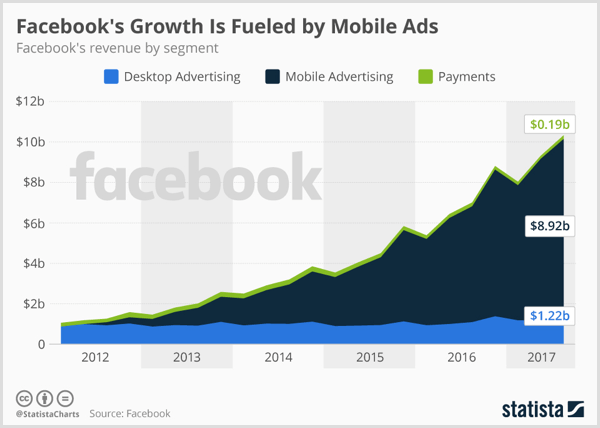 We know from the previous statistics that advertisers on Facebook are taking advantage of mobile ads, but is Facebook necessarily the right platform for mobile ads? 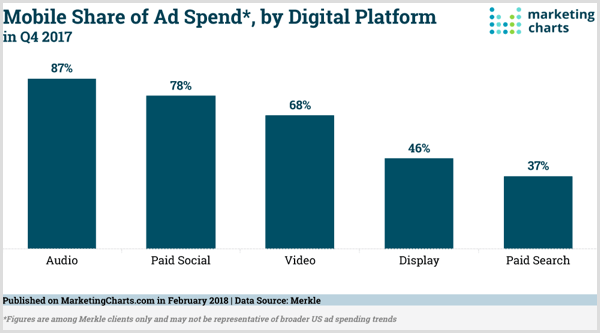 Per the Marketing Charts image below, it may be that spending to advertise on audio platforms, if targeting mobile users, pays off more for your brand in 2018. Bigger picture: While mobile accounted for a high percentage of ad revenue on Facebook itself, we see that it’s well below half when compared with the U.S. mobile ad market as a whole. So what are your other options for mobile advertising? Let’s move on. 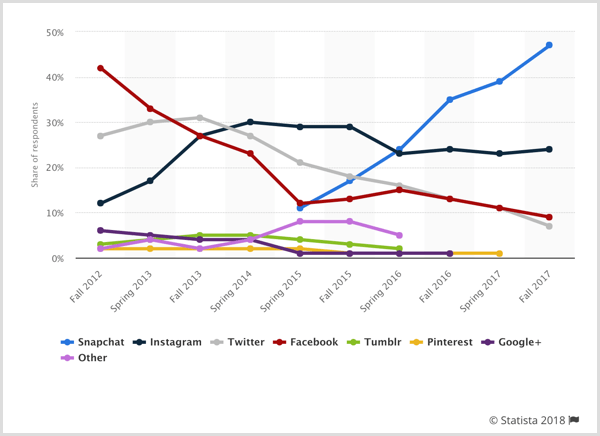 Even though Instagram is a separate platform in terms of audience and how users engage, we shouldn’t forget that Instagram is owned by Facebook. What now becomes an important question with any Facebook stats moving forward: Does this include or exclude Instagram? Facebook isn’t the only platform to consider for running mobile ads. After all, Instagram is a mobile-engaged platform. Still, we see that its mobile ad market reach is still pretty small. Even though it covers a good chunk of Facebook’s mobile ad revenue, it’s still below half. That being said, with substantial growth year over year, it may start taking more of the pie. So far, we’ve covered stats about advertising spend and how that’s allocated across devices or platforms, but what about audience considerations? 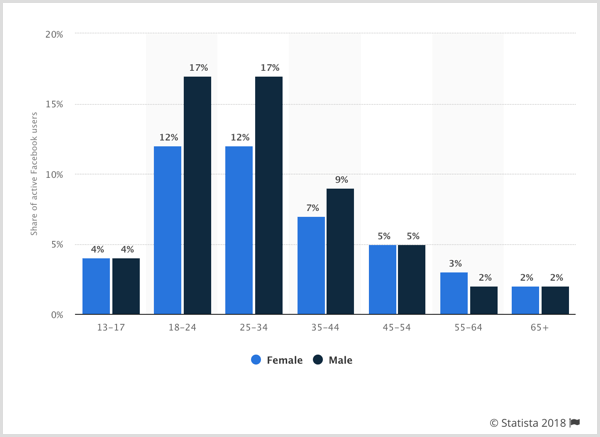 How many teenagers engage with ads specifically, as opposed to organic content? 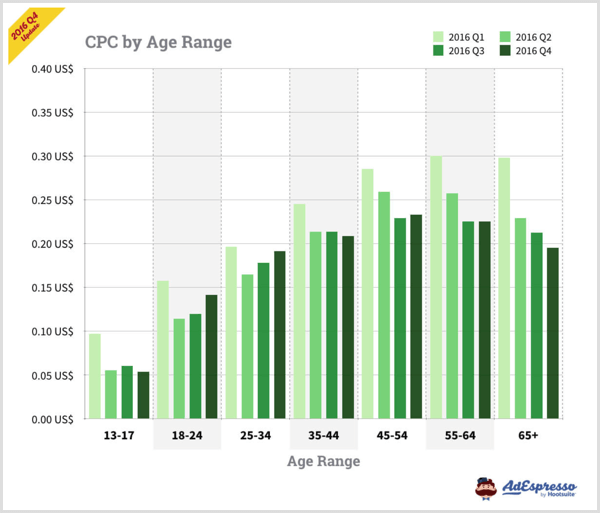 What types of ads or content within ads are teens most often engaging with? How are teens engaging? Are they actually purchasing after viewing an ad? Now we have taken this stat beyond the surface-level assumptions and gotten a more well-rounded view of where to gear advertising efforts for teens. Now it’s time to look at your audience and competition (or in some cases, those who might become co-partners in Facebook advertising efforts). When we say a platform has 2 million monthly advertisers, is that necessarily a good thing? There are two ways to look at that stat. First, more brands advertise on Facebook because it’s an effective platform that brings ROI. Second, even if #1 is correct, that’s a lot of ads to compete with and you become a small fish in a big pond (unless your product/service is super-awesome and you’re able to convey that in a way that blows the other fish out of the water). 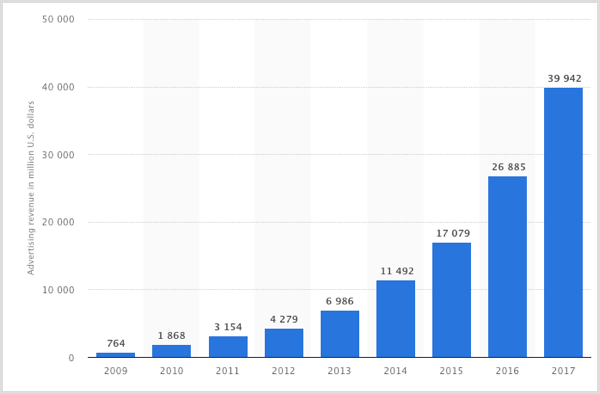 Visualized in the Statista chart below, Facebook announced that six million active advertisers were using the platform to promote their products and services. But again, that doesn’t mean they’re advertising to your audience, so I wouldn’t let that number scare you off. 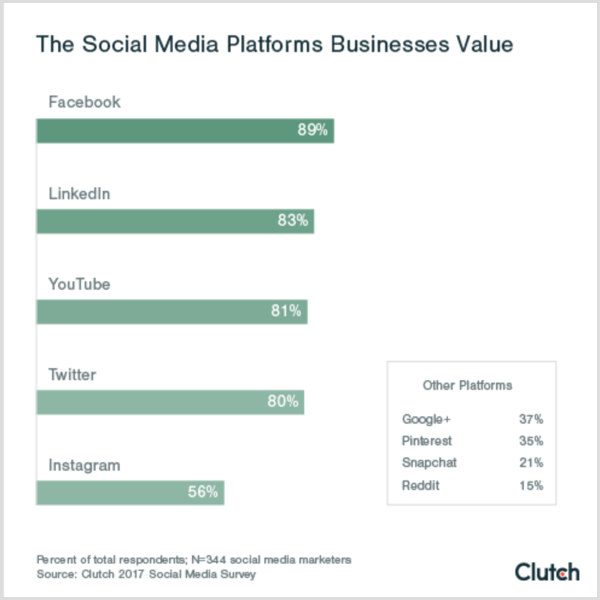 In an October 2017 survey taken by U.S. small business owners, 24% of respondents thought that social media was very important to connect with customers. This means even though there are some big players on the network, small businesses still believe it’s beneficial. Facebook is the most popular platform for marketers to advertise on (91%), followed by Twitter (34%). So if you find that the competition is fierce, you could look into other avenues. It’s correlation, not always causation, when we equate popularity to ROI. We should take the sampling with a grain of salt as far as being representative of the whole. It depends on who was surveyed and when, but we might speculate that LinkedIn is still preferred by a good many B2B marketers. 64% of social marketers plan on increasing their Facebook ad activities, according to the Social Media Marketing Industry Report. It’s always good to look at not only current stats, but also projections. The waters may not seem deep now, but they may become deeper in the near future. Timing can be everything when it comes to beating out the competition for ad space. Get in front of your audience while you can. But all is not lost. You might be surprised to know that out of the 65 million active businesses on the network, only 5 million are advertising each month. But you’re not home-free yet. Did you know that Facebook pays influencers, publishers, and celebrities to promote Facebook content? 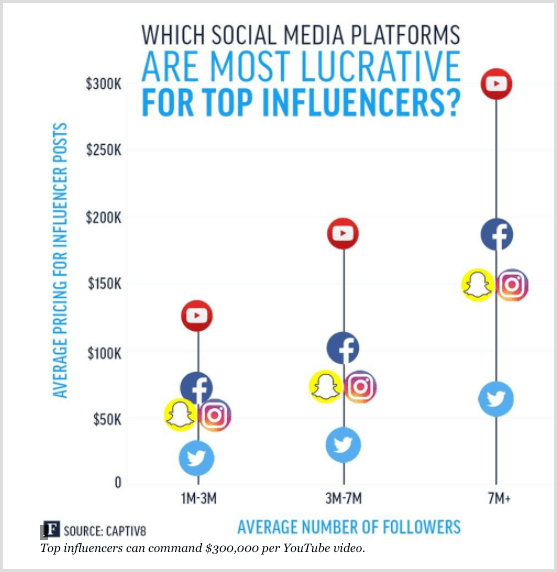 This chart from Forbes breaks down average pricing for influencers. Facebook reports that only 239K monthly users are from the U.S. and Canada, which seems like a small number compared with other areas (almost 89% come from outside the U.S.). However, when we look at the revenue gained from these users, the data tells a different story. A common line of thought is if everyone else is doing it, you should as well. But where there’s lots of advertisers and competition for ad space, the costs tend to go up. Unless your audience is primarily on Facebook, perhaps you want to go where there’s less competition. Keep in mind that some stats speak to how much is spent from a region as a whole, while others speak to how many businesses in a particular area are spending that amount. It makes a difference if a few businesses are spending a bucketload versus many businesses spending only a little. 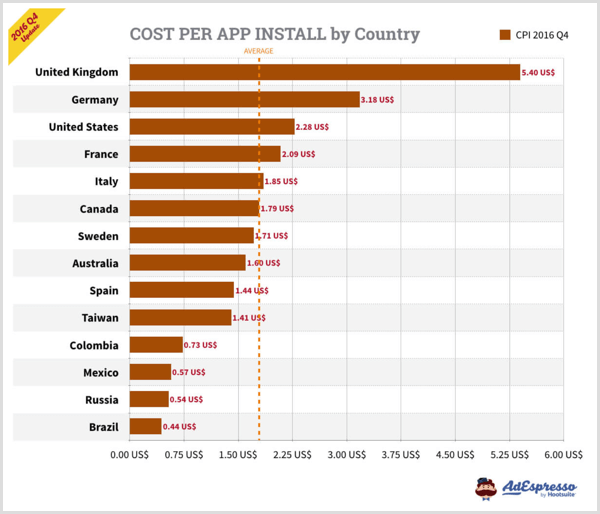 So the question remains, are these marketers outside the U.S. spending less to get the same results? Not to say that you should shift your focus based on that, but when you read the stats, think about what data is missing that would give you a more complete picture. In this case, another question I might wonder is, out of those businesses, how many would actually be competitors of my brand? 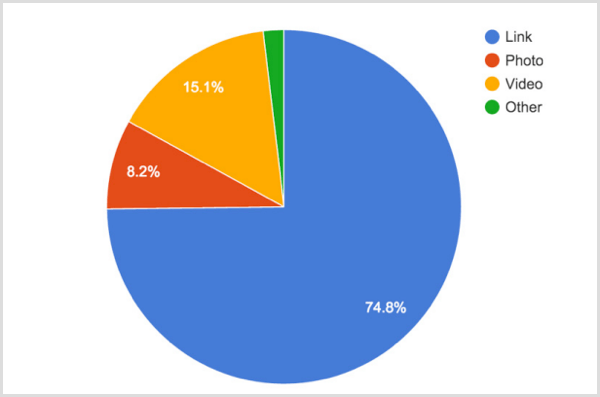 For instance, these stats don’t show how many out of these areas are in my industry or targeting my specific audience. Why recreate the wheel when others’ performance can help you determine what works as far as content? Well, I’ll get to that in a bit. For now, let me at least give those of you just starting out with Facebook advertising a baseline of content you can try with the hopes of increasing your odds of success. But where should you be running ads: news feed, side, or perhaps Messenger? Keep in mind, however, that Messenger ad click-through rates (CTRs) decreased overall during Q4 after a period of increases in October and November, ending the year at an average of 1.35%. The chart below, from AdStage, visualizes this well. More on average click-throughs later in this article. Let’s look at the last of those stats: of those who clicked and made a purchase. The rate of 26% could be considered high or low depending on several factors. Because users clicked on ads, that shows some initial interest. The problem may lie on the conversion-rate optimization (CRO) side with the landing pages either not matching the offer or landing pages not providing enough information of value for the user to make that final decision. Also, this stat says “purchase,” but that doesn’t necessarily mean the user didn’t convert or provide some form of lead identifier such as an email address. If that’s the case, the issue may be more on the sales side. Maybe the sales team didn’t follow up in a timely manner. Given the vagueness of these stats, it’s good to have varied types of content and ads to test before determining whether your ads work. General effectiveness doesn’t mean brand effectiveness. Also, performance depends on the goal. Link ads may be best for generating website clicks, and video ads may be good for showcasing a product or getting more engagement on Facebook. If I’m not shooting for a purchase, I likely won’t get one. It’s interesting that a May 2017 survey shows 25% of respondents were annoyed with Facebook advertising, while 11% reported the opposite. During that survey period, 10% of consumers also expressed that Facebook advertising was helpful, while 26% said the opposite. If there’s a general annoyance, I suppose it wouldn’t matter what content or type you put out, although these particular individuals surveyed may have just had poor experiences or weren’t targeted with the right offer at the right time. I also wonder at the fact that these stats don’t add up to 100%, so what does the majority feel? 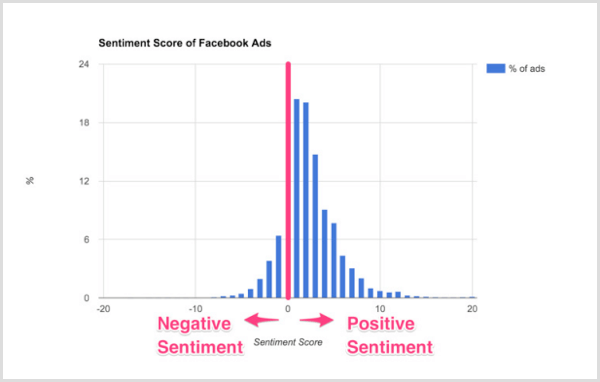 Smart Insights’ sentiment analysis of 111,800 ads seems almost split down the middle. If you want email addresses, Facebook has many advertisers reporting costs below $1 per lead. 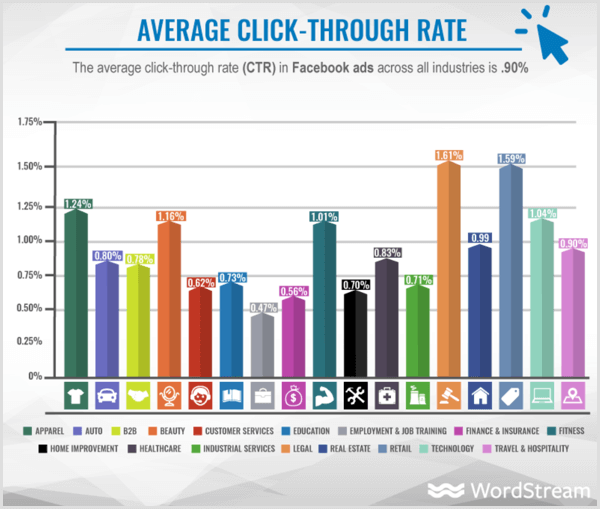 Depending on the source you read (Sprout Social, Aggregate blog, or AdStage), the average CPC and CTRs vary. 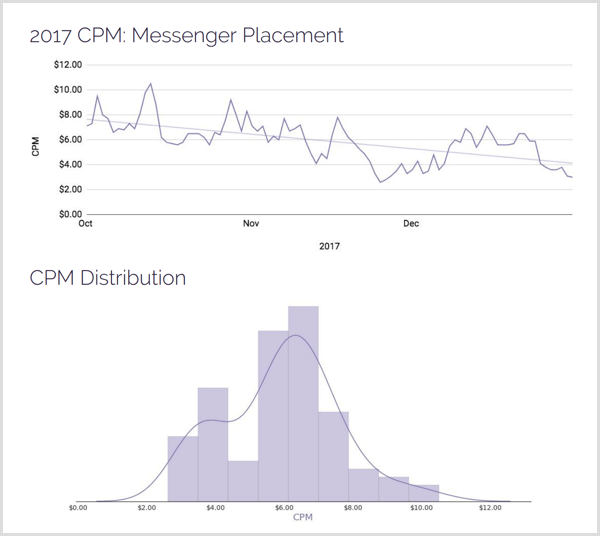 Since AdStage’s chart was from Q4 2017, it seemed the most up to date though, with Facebook ads’ average CPM at $12.45, average CPC at $0.54, and average CTR at 2.34%. This is a 37% increase in CPM, 14% increase in CPC, and 25% increase in CTR compared to Q3. Although dated, I took a look at some averages for country, age, and industry. AdEspresso shows that Japan is coming in pretty expensive, while Greece and Ireland are much cheaper. It seems to be more expensive to advertise to the older age groups. WordStream has a chart that shows the finance and insurance industry had the highest CPC, while the apparel industry had the lowest. The legal industry had the highest CTR, while the employment and job training industry had the lowest. Depending on what audience you’re targeting and industry you’re in, it may behoove you to advertise on Facebook. Keep in mind that you’re still not comparing with other advertising channels here. The average CPM for Instagram ads increased 35% to $10.14, the average CPC increased 80% to $2.62, and the average CTR increased 33% to 0.39%. Here we come to the meat of it all. It’s great if your audience is on Facebook and they’re engaging with offers similar to yours. But you have a hard-lined budget and want to make sure that Facebook ads are going to bring a good ROI. 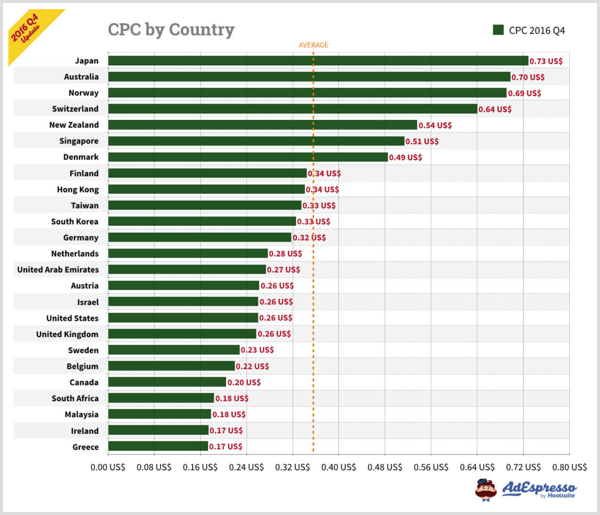 You might want to compare largest CPC on Facebook to other platforms your audience is actively engaged on. More importantly, compare cost per conversion/sale on Facebook to other platforms your audience is actively engaged on because it does no good to get low-quality traffic that doesn’t convert. If you’re in one of the industries mentioned above, take note of the CPC and CTR, but again, remember that conversions are what really matter. The one thing that stats can do is confirm or deny some baseline assumptions you may have. As an example, there are a lot of people who think apparel or ecommerce performs better on platforms like Pinterest; yet there seems to be a lower CPC for the apparel industry. Now if that traffic actually converts, that could be good ROI. But at the end of the day, stats and averages don’t reflect how your business will perform. The only true way to figure that out is to test. If we were to say that XYZ industry sees 20% of the results, but your brand campaigns are bringing in 15% of those results, it might be better than XYZ industry sees 22% of the results, but your brand campaigns are only bringing in 0.2% of those results. It’s all relative. My goal with this post wasn’t to bombard you with Facebook ad stats, but to show you how you can be a critical thinker when you look at these or other stats moving forward. 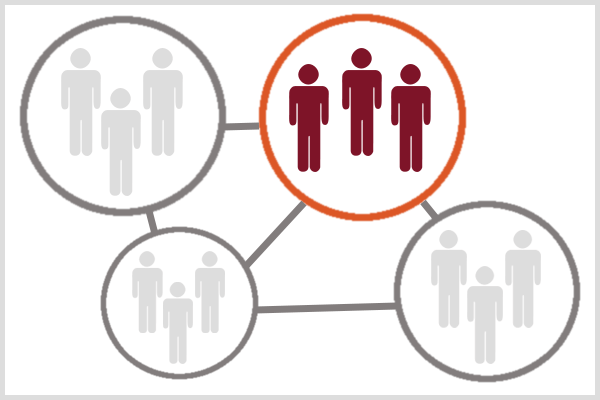 You can turn the data being relayed into information you can actually apply to your campaigns. What do you think? Are the data and discussion above helpful? How will you use them to adjust your Facebook advertising? Share your thoughts and questions in the comments below. Facebook is accused of being in breach of New Zealand's privacy act. The past few days have seen brands and personalities quit Facebook, and now New Zealand's privacy commissioner has joined the fore. In a post for The Spinoff, John Edwards explains what was once a place to kill time on Farmville and catch up with friends had turned into a platform that breaks the country's privacy laws. Following revelations of Cambridge Analytica's misuse of personal Facebook data, Edwards said his office requested the social network to release data about what information it holds about users as part of an investigation. Facebook refused, allegedly saying it wasn't subject to New Zealand's privacy laws, and therefore had no obligation to provide it. Leaving the commissioner with no other option, the office named Facebook in breach of New Zealand's privacy act on Wednesday. "The Commissioner’s investigations are almost always confidential, but he considers it necessary to publicly identify Facebook in order to highlight its demonstrated unwillingness to comply with the law, and to inform the New Zealand public of Facebook’s position," the office said in a statement online. In a statement to The Guardian, a Facebook spokesperson said the office's request was overly broad. "We are disappointed that the New Zealand privacy commissioner asked us to provide access to a year’s worth of private data belonging to several people and then criticised us for protecting their privacy." "We scrutinise all requests to disclose personal data, particularly the contents of private messages, and will challenge those that are overly broad. "We have investigated the complaint from the person who contacted the commissioner’s office but we haven’t been provided enough detail to fully resolve it." Edwards said he is essentially powerless to do more about it under current laws, but a potential future court case could be used to examine what obligations the company has under New Zealand law. In the meantime, Edwards has deleted his Facebook account. "Every New Zealander has the right to find out what information an agency holds about them. It is a right of constitutional significance," he wrote.